P.ink (Personal Ink) is an organization dedicated to educating breast cancer survivors about mastectomy tattoos as an alternative healing option, and connecting survivors with experienced tattoo artists who can help. One way we do this is through P.ink Day, an annual all-volunteer effort to connect tattoo artists and survivors for a day of healing with tattoos. 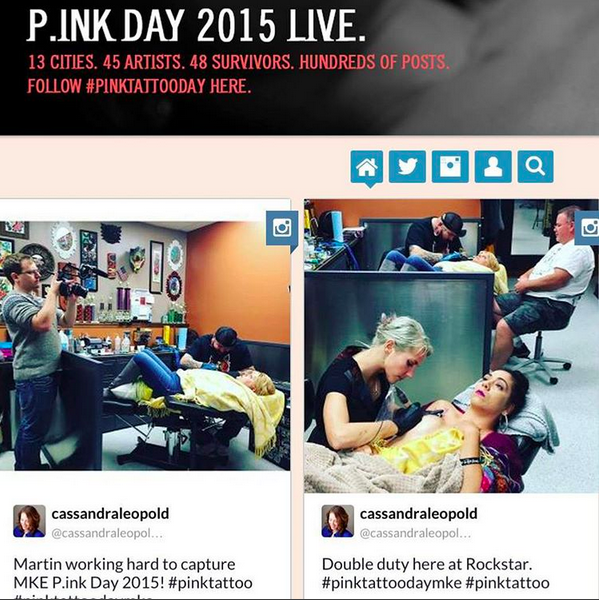 Click here to follow P.ink Day 2015 Live. Click here to visit Personal Ink’s website for details. The official video from P.ink Day 2013. My October 2014 appearance on Huff Post Live, discussing body image after breast cancer with host Nancy Redd, tattoo artist Vinnie Myers and his survivor client Rosemary. Personal ink was inspired by the lovely & amazing Molly Ortwein. Watch Molly's story here. I got P.ink'd in 2013 by Roxx of 2 Spirit Tattoo in San Francisco. This year, I led the New York City P.ink Day at Gristle Tattoo in Williamsburg, Brooklyn. I share my story on my blog. 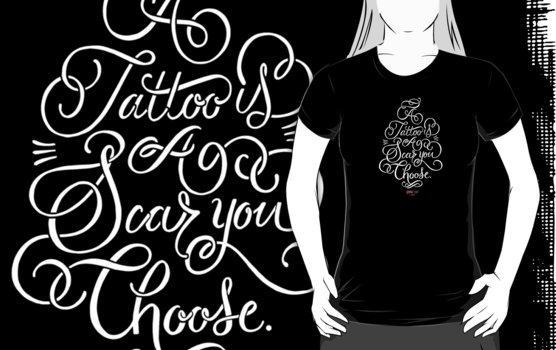 Proceeds from purchases at the Personal Ink shop on RedBubble support P.ink's mission to connect breast cancer survivors with tattoo artists and information about mastectomy tattoos. You can also donate to Personal Ink's P.ink Fund, here.